There are many, many worrisome beliefs and practices common to the contemporary Lubavitch community. Some stand in serious conflict with halacha, others are simply odd. However, we're going ignore most of them and focus primarily on the principle of hiskashrus (a Lubavitcher's attachment to his rebbe). Why? Because hiskashrus isn't just odd or in conflict with any particular halacha, it would, as we shall soon demonstrate, seem to be minus (a corrupted understanding of G-d and His nature which, among other things, renders the believer unfit to provide religious services). And because hiskashrus is so central a part of modern Chabad, and is a theme so often repeated in their literature at every level, that no one could ever claim "it's just a few crazy people at the fringe of the movement." Hiskashrus, in fact, is the movement. Exactly what is hiskashrus and why is it a problem? Central to the hiskashrus system is the elevation of a "tzadik" to super-human dimensions. If this tzadik somehow possesses powers and holiness that transcend normal human limitations, Lubavitchers are taught, then a Chassid who connects with him can share in, or benefit from those powers. "A person must, from time to time, think about himself and his position and situation, but the rest of the time it's better to think about the Rebbe, how he is constantly with his mekusharim and how he leads them through every step. "And lest thoughts that are opposite to this occur to you, you need to know that this is the atzas ha'yetzer who seeks various ways to confuse you from (learning and performing) Torah and avoda. 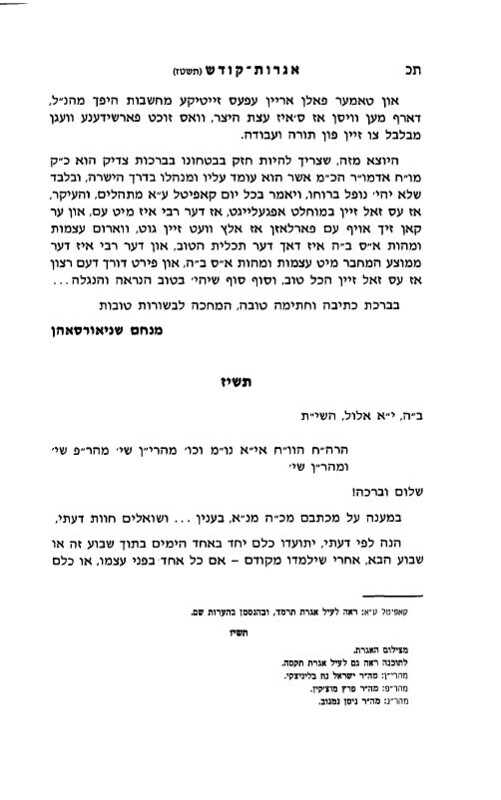 "From this it is apparent that you must be strong in your trust in the brachos of the tzadik, the Rebbe, who stands by you and leads you on the right path ...and the main thing is that it should be absolute and obvious that the Rebbe is with you, and you can rely on him that everything will be good, because atzmus u'mehus ein sof boruch hu is the ultimate good, and the Rebbe is the memutza ha'mechaber with atzmus u'mehus ein sof boruch hu, and firt durch dem ratzon so it will all be good and ultimately it should be (a) visible and revealed good ..."
So hiskashrus allows (or even requires) that a chossid think constantly about his rebbe - even a rebbe who has already died - and, from those thoughts, he can be confident that this dead rebbe can both guide him and ensure that everything will be fine. Does this belief lead to any practical applications? 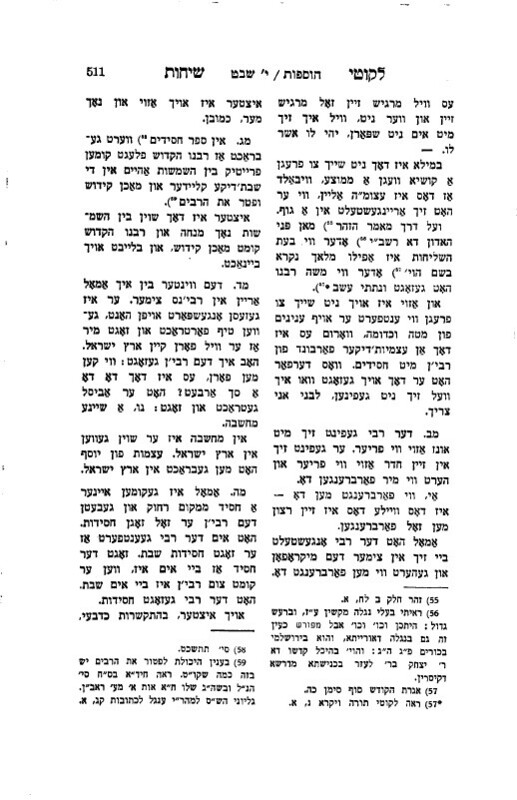 The Rebbe's defining sicha from the last day of Pesach, 5710 (printed in Likutei Sichos volume two, pages 510-511 - see it here and here) seems to indicate that there are. The Rebbe asked the following question: "How can one (make a) request (of) ["betten"] a rebbe; isn't that (a problem of speaking to HaShem through) an intermediary?" Later, the sicha claims that "the rebbe" (meaning the previous rebbe, who had recently died) "is with us still as before, he is in this room just as before and he hears what we are farbrangen here Once, the rebbe switched on the microphone in his room and heard us farbrangen here. Now, it is the same, only much more." These words reveal a number of beliefs. One, that a chassid may request all manner of assistance from his rebbe (even a rebbe who has died) in a way that Jews have always believed appropriate only from HaShem. Two, that the rebbe can hear these requests, even though he (or his body) is distant from the petitioner (in other words, that he is effectively omniscient). Three, that the rebbe is able to respond to these requests (in other words, that he is omnipotent - why should anyone daven to someone who can't help?). It must be noted that the above sicha was delivered in the period between the death of the previous rebbe (the Riyatz) and the appointment of his successor (Menachem Mendel). There can be no doubt that the leaders and educators of the movement were well aware of these teachings when they offered him the position (over the vigorous candidacy of his brother-in-law) some months later (in Shevat, 5711). One can only conclude that they, too, accepted the legitimacy of "atzmus theology." These leaders and their students have taught and guided the movement for all of the past six decades. "but even if a person is found to still harbor doubts about the rebbe (whether he controls everything and is all-powerful and thus is impossible to hide from), he should still study the rebbe's chassidus..."
So, if we are to take the Lubavitcher Rebbe's word for it, he is not only effectively omniscient, but omnipotent too; a veritable god! Hiskashrus would seem to be a two-way street: not only should a Lubavitcher develop a strong sense of emotional attachment with his (dead) rebbe, but that attachment will arouse the rebbe to provide the chassid's needs. 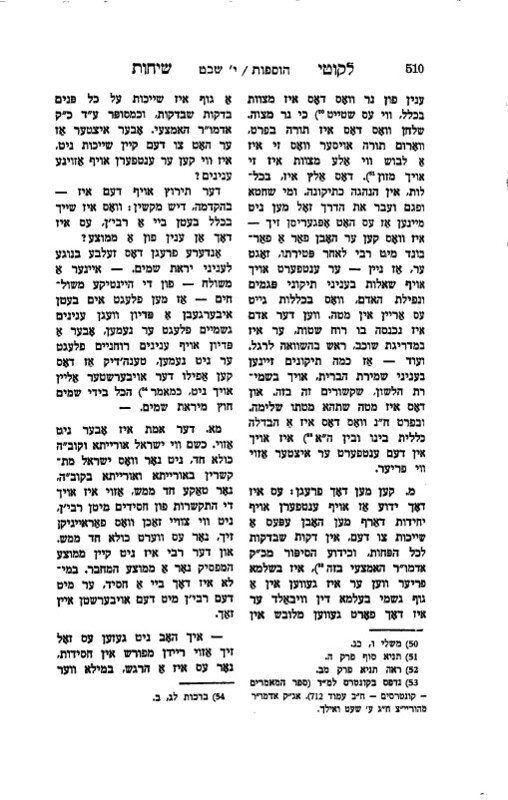 "We will merit to have the rebbe (the Riyatz) here, below, in a body, below ten (tefachim) and he will redeem us." "Even now, the rebbe stands and guides all matters." Now, of course, just demonstrating that the rebbe believed and wrote about these ideas doesn't prove that they are actually taught and practiced among his contemporary followers (which is our true concern). There are, however, some readily available samples that should give us some indication. During the dark days of the Mumbai Massacre, Rabbi Shlomo Cunin, among the most prominent and powerful rabbis in the entire Chabad movement, was recorded on video (see our home page) declaring his confidence that all the remaining hostages would be released and that then, "they will understand and see it's the rebbe who runs this world." Rabbi Cunin didn't make this up. He quoted virtually word for word from Likkutei Sichos, Shabbos parashas Teruma, parashas Zachor, 8 Adar. 5710. 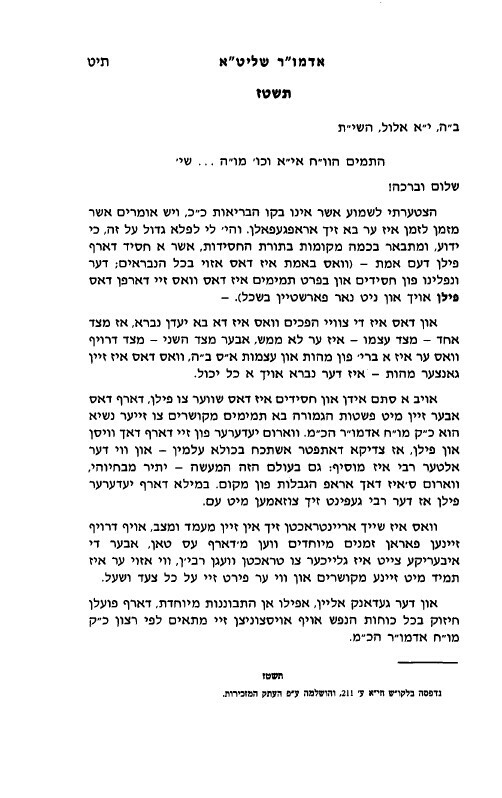 "…Whenever we learn a Sicha or a Maamar we become very close and connected to our Rebbe." In general, it must be acknowledged that the Chabad magazine, Beis Moshiach, has been widely and publicly criticized (and even banned) by some Lubavitch rabbis. Nevertheless, it's rare to see or hear Lubavitchers disagreeing with the actual beliefs the editors promote; just with their decision to publish in such a public forum. More importantly, many of the magazine's writers hold positions of great influence in Chabad educational establishments. After all, if a community hires and supports such people as educators of their children, one should assume that the community is comfortable with their basic beliefs. When you relate to the Rebbe as someone from the past, he becomes, r'l, part of history. The difference between the Rebbe and other tzaddikim, especially the other Rebbeim, becomes blurred. The miracles the Rebbe continues to perform, etc., alone do not sufficiently underscore the fact that the Rebbe is our Nasi, now as before. From the article "Our Generation: What Makes Us Different"
I felt the Rebbe's presence not only then, but all along the way. I felt that not only was the Rebbe guiding me, but that he was making it all happen. What about Chabad summer camps? A description by Leah Lipszyc (the wife of a prominent Chabad shaliach) of her experience facing the extended armed robbery of her home in Ukraine. By the way, we are still dismayed that a mainstream Orthodox magazine like Horizons would publish, without comment, this autobiographical account of a woman actually davening to her dead rebbe. So the rebbe wrote and spoke about it and, for the past fifty years, there have been teachers and mashpiim faithfully transmitting it. But has the message of hiskashrus been picked up by their students? Yes. Without a doubt. It would simply be unthinkable for any Lubavitcher to reject any of his rebbe's established teachings. It could, perhaps, be argued that, since the rebbe published so many volumes of writings, many people might simply be unaware of this particular thought (perhaps it was "lost in the crowd"). Perhaps such a thing could be argued, but it's just not true. As we said above, hiskashrus is universally known and is inseparable from modern Chabad. Here's an example from a Chabad-dominated online forum based in Montreal. The question starting off this particular thread was "What do you do to instill hiskashrus to the Rebbe in your children?" We have a picture of the Rebbe in every room of the house. And we point at it and ask "Who is that?" often. Pictures of the Rebbetzin and the Rebbe's parents abound as well as posters of the previous Rabbeim. We discuss sichos at every shabbos and YT meal, and specify that it is a teaching of the Rebbe. We tell our children YOU are the Rebbe's children. We have books for children about the Rebbe, and various formats of 'the Rebbe speaks to children'. We tell our children that they are in the Rebbe's moisad. Basically, we include the Rebbe and Rabbeim in every day conversation, the way we talk about family members. 2) pictures of Rebbeim in the house and in their room so that they become familiar faces. 3) the chassidishe yamim tovim are a special day in my house, not like any other day. whether its a treat, a special story or nigun,... these days will stand out amongst others in my children's minds. 4)to name the children after the Rebbeim/ Rebbetzins or great chassidim, so they feel a basic connection already. there are probably more but this is what i can think if now. In the Ha'Yom Yom for Elul 10, it says that the gedolei ziknei chasidei Rabeinu Ha'Zakein said, that one of the purposes of a yechidus is: l'hiskasher b'hisachdus gemura, v'limsor atzmo, ibergeben zich mit ale retzonos - he should bind himself to the Rebbe in total oneness, and give himself over with all his desires. You ask what his hiskashrus to me consists of, when I do not know him ... True hiskashrus is through limud ha'Torah, and when he learns my maamarei Chassidus, reads the sichos, and associates with yididei Anash and the tmimim in their learning and farbrenging, and fulfills my requests in saying Tehillim and keeping the zemanei ha'limudim, this is hiskashrus. The longing for hiskashrus can only be satisfied when you learn maamarei Chassidus .. seeing him is not enough. Chassidim are shluchim of the Rebbe, the Alter Rebbe. If they carry out their mission, they are mekushar, completely mekushar: there walks a chasid, there eats a chasid, there sleeps a chasid. when i was in school we were each given a packet to learn, of each days Hayom Yom and a paragraph about Moshiach, one for every day until Yud Shvat. Yud Shevat was the occasion when the Rebbe agreed to lead the Chassidim, and this marks it as time when the bond between the Rebbe and the Chassidim is intensified. It is a day on which it is appropriate to examine our level of connection to the Rebbe and strive to increase our personal level of Hiskashrus. There are times when one may wonder how it is possible to feel truly connected to the Rebbe. We appear to be somewhat removed; too attached to materiality, and too involved in our own affairs to be able to fulfill the will of the Rebbe properly. At this point, one may wonder, what is my attachment to the Rebbe? What is my connection to G-dliness? Furthermore, there may be people who find themselves without an evident desire to strengthen their ties to the Rebbe. What can be said to those who lack any feelings in this matter? 1. People who are truly bonded to the Rebbe and sense this deep attachment and Hiskashrus. 2. Those who are pained that they don't feel Mekusher and have the deep desire to attach themselves to the Rebbe. 3. Those who are distressed because they do not even have the desire to be Mekusher. For an extended dialogue concerning this site (initiated by a Lubavitcher), see this.